The first epigenetic test to diagnose tumours of unknown origin. According to the World Health Organization, cancer is the leading cause of death worldwide and is projected to increase 45% between 2007 and 2030, which will involve more than 15 million new cases and 11.3 million deaths. However, whilst the global medical community have achieved very important progress with regard to the diagnosis of the disease, even today, 5% of patients with cancer will be diagnosed with cancer of unknown origin. Now, a study from researchers at the Bellvitge Biomedical Research Institute (IDIBELL) shows that it is possible to use an epigenetic test, called EPICUP, to find out what type of primary tumour is responsible for the metastasis in the patient. The team state that their findings will allow doctors to develop more specific treatments by identifying the cancer of unknown origin. The study is published in the journal The Lancet Oncology. Previous studies show that these patients have a poor prognosis, as the origin of the tumour that gave rise to metastasisis is unknown, and the patient given a treatment empirically. Recent studies show that the chemical patterns which regulate the activity of genes, the epigenome, are specific to each tissue. For example, they are different in a pancreatic cell compared to a lung cell. 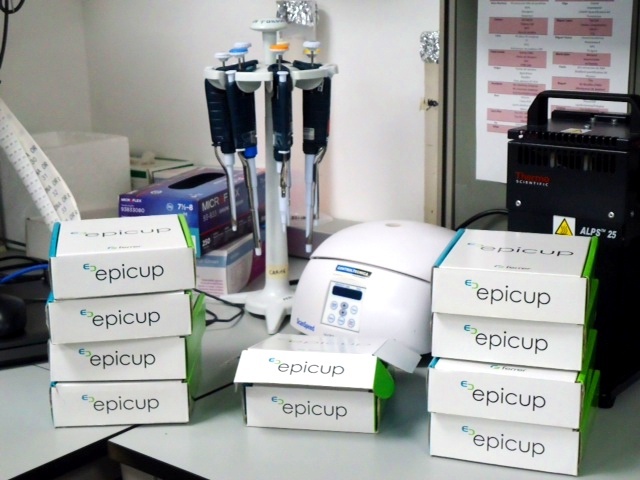 Earlier studies from the lab developed EPICUP in order to help diagnose the primary tumour of unknown origin so doctors could establish the most appropriate treatment regimen for each case. The current study establishes a classifier of cancer-type based on the EPICUP test, in a training set of 2790 tumour samples of known origin representing 38 tumour types and including 85 metastases. The current study uses an independent set of 7691 known tumour samples from the same tumour types that included 534 metastases to validate the classifier. The group then applied the developed diagnostic test to predict the tumour type of 216 well-characterised cases of cancer of unknown primary. The EPICUP assay was then verified using autopsy examination, follow-up for subsequent clinical detection of the primary sites months after the initial presentation, light microscopy, and comprehensive immunohistochemistry profiling. Results show that the tumour type classifier based on the DNA methylation profiles showed a 97·7% sensitivity in the validation set of 7691 tumours. Data findings show that DNA methylation profiling predicted a primary cancer of origin in 188 of 216 patients with cancer with unknown primary cancer. The researchers note that patients with EPICUP diagnoses who received a tumour type-specific therapy showed improved overall survival compared with that in patients who received empiric therapy. The team surmise that their findings show the development of a DNA methylation based assay can significantly improve diagnoses of cancer of unknown primary tumours and guide more precise therapies associated with better outcomes. For the future, the researchers state that epigenetic profiling could be a useful approach to unmask the original primary tumour site of cancer of unknown primary cases and a step towards the improvement of the clinical management of these patients. This is an EPICUP(R) Genetic Test. Credit: IDIBELL.